UK: The Scottish government has awarded £2.2 million (EUR 2.76 million) to the Carbon Trust's Offshore Wind Accelerator (OWA) programme in a bid to develop floating turbine technology in Scotland. 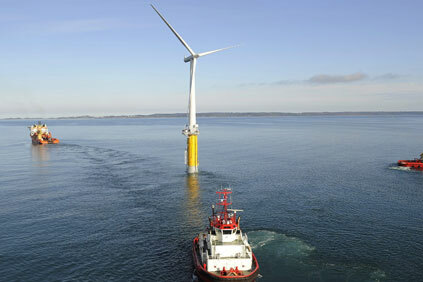 The OWA is an industry project, set up in 2008, working to reduce the cost of producing offshore wind by 10% by 2015. Developers involved in the initiative include Dong Energy, RWE Innogy, and Statoil. The grant will be used to encourage the commercialisation of floating turbines, further international collaboration in a bid to reduce costs and share knowledge of wind farm development techniques such as operations and maintenance, project layout and installations. Scottish first minister Alex Salmond said the government would give £200,000 (EUR 251,376) to the OWA in 2014/15 and then the remaining £2 million (EUR 2.5 million) in 2015/16. The Scottish government is aiming to produce 100% of Scotland's electricity from renewable sources by 2020. Norwegian developer Statoil is developing the 30MW Hywind offshore demonstration project off northeast Scotland.